Looking "where to sell my Alfa Romeo Giulia?" Ask the Chicago Car Club! Are you wondering "where to sell my Alfa Romeo Giulia ?" 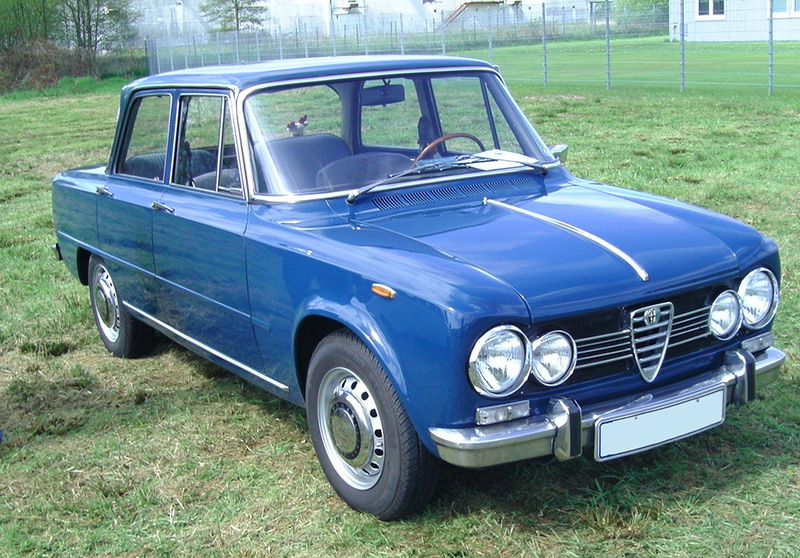 The Chicago Car Club is interested in classic cars of all makes and models, especially a Alfa Romeo Giulia. We make the process of selling your Alfa Romeo Giulia quick and painless. In just a matter of hours we will have your classic valued and, if you do so choose, turned into money in your pocket. All it takes is a phone call or electronic inquiry to get the ball rolling. The Italian Alfa Romeo Giulia was a line of 4 door sedans that offered sporty styling and performance in a convenient family car package. Between 1963 and 1977, Alfa Romeo made a dozen different models of their popular sedan, including the Giulia 1600 TI, 1600 TI Super, 1300, Super, 1300 ti, 1300 Super, 1600 S, Super 1.3, Super 1.6, Nuova Super 1.3, Nuova Super 1.6, and Nuova Super Diesel, in addition to variants from small, independent coachbuilders. Various models, depending upon their configuration, could produce between 80-110 hp from their lightweight four-cylinder engines. Most models came equipped with a five speed manual transmission. The Giulia has been knocked as being too “boxy” in its design, but it actually had one of the best wind tunnel performances of its era. All the model variations were based on a design by Giorgetto Giugiaro at Bertone. A modern iteration of the Giulia was first debuted at the Museo Storico Alfa Romeo in Arese in 2015. The new Giulia, the type 952, has since been put into production, with styling cues and driving characteristics inspired by the original type 105.